I have been looking for a good stereo amplifier circuit diagram for a long time. I am not a HiFi geek, I just wanted to build a simple stereo amplifier that could drive some speakers for my desktop computer. All the schematic diagrams that I could find seemed to involve lots of hard-to-find components or you had to use it together with a pre-amplifier or some other amplifier stage. It was always something that made me hesitate. But recently I found this awesome little chip called TEA2025! 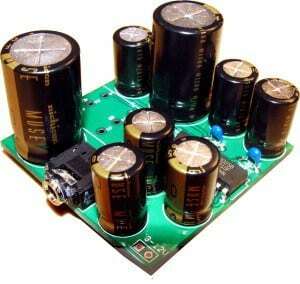 You only need a few capacitors to make a decent stereo amplifier out of it. It is so simple to build that I put it together on a strip board in just a few hours. On the input side, you should use a dual potentiometer. A dual potmeter allows you to connect both left and right channel on one potentiometer. This amplifier is great to use together with some speakers to get sound on your desktop computer. I am thinking of putting one in my kitchen and in my bathroom also. Then maybe hook them up to my home network and stream music from a server =) There are many possibilities when you can make such a cheap amplifier. Total cost of the components (excluding speakers) is about $9. The most expensive component is the potentiometer (about $3-4). 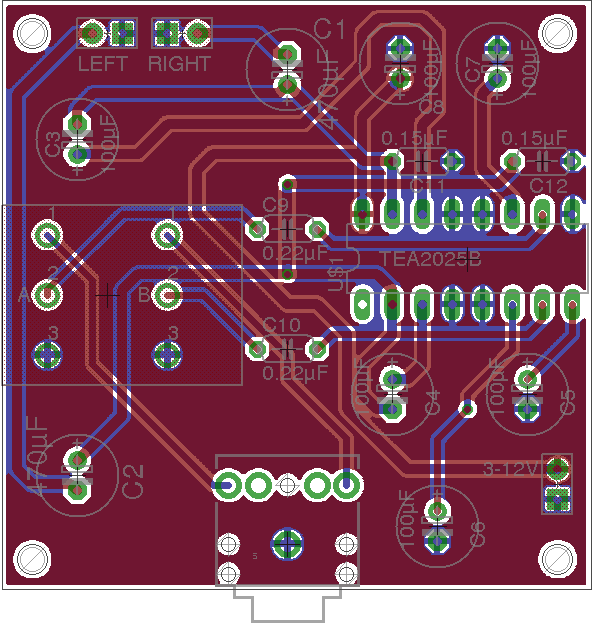 Here is the schematics (Eagle), PCB board layout (Eagle) and Gerber files. This board was made to comply with the design rules of Seeed Studio (May 2013). I want more people to build better and cooler projects. Everyone can improve even if they are complete beginners or have built many circuits from before. 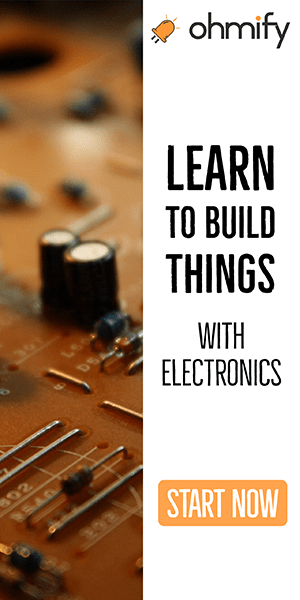 If you love building things with electronics (or would love to), check out Ohmify. Thanks for this useful post. i tried this single chip stereo amp. and it worked. but the problem I faced is there is lots of noise also. first i thought it could be a problem with speaker I used (i got my speakers from toy cars,they lied in the said resistance range), so I moved to market available speakers. but the problem persist. Can u suggest me some solution to get get the rid of this noise. any help will be appreciated. If the input signal is too high, you will get clipping on the output. This will make the sound noisy. So first, check if you have the noise problem when the volume is turned down: (R1+R2) pot turned to a high resistance value. I tried your suggested solution and yes the noise is still present at lower volumes. And then just for experiment I used higher range speakers(~15 ohm , 5 watt), and the problem was gone :). but i also doubt that using these higher higher range speakers ,in a continuous run, the circuit might get damaged. Right? And one more thing , i think i should add, I am using USB power supply. As I want to make it completely portable. No it shouldn’t be a problem to use higher Ohm speakers. And higher Watt-rating of the speaker just means it can handle more power. That’s the issue. The IC is probably running out of power. Buy a tablet power supply (5V 2A, for fast charging) and check current consumption with a multimeter. Probably the USB port isn’t providing enough current (check if your motherboard has a port with a higher current limit, since most ports are limited to 300-500 mA). Or buy a 9V rechargeable battery (raising the voltage to get the same power from the supply will give you less current consumption, which is nice running on batteries). Check the input stage for bad solder joints (can act as diodes hence radio noise). Try a aluminum foil shield to check for external signals that show up as noise. Have an oscilloscope? Check for oscillations in your component layout etc. Hey sir . Is there any shop have a complete part list for this stereo amplifier ? which is the Layout in PCB ? Any help, or am i just being stupid? Should I just use a mono amplifier with similar specs as the tea2025? Check out page 4 on the datasheet. The mono configuration is called “Bridge”. It’s the one on the left. Thanks! I was wondering why that was there, but I just assumed it was a separate application entirely because of the name! Pls oyvind,help me here also(i will download your book sooner by grace)can you provide me with a schematic of 4 stage transistor 2.5w mono or stereo audio amp.pls spare the effort to send me the link to this.God bless. If you have access to an oscilliscope (http://www.build-electronic-circuits.com/sound-card-oscilloscope/), I would recommend you to use that and measure both input and output to figure out what is wrong. what is the maximum input of this circuit? and what is the output power for this circuit? I mean to ask what is current consumption of this circuit? or what is power consumption for this circuit? what is the voltage rating of the capacitors. I think I used 25V. is the voltage rating of all the capacitor 25v.How about 0.15uf capacitor. 25 V should work fine. Hey, yes that should work fine. i have only 10k 6pin potentiometer avaliable…. Check the datasheet of your potentiometer to find out the pin configuration, then match that with the diagram above. Where would I be able to order the 0.22 µF and 0.15 µF non-polarized capacitors online? What is the diagram software that you used to create these circuit diagrams? Is it creately ? I doubt that you find something that will simulate the chip, if that’s what you are trying to do… I would say just go ahead and build it. No need to simulate. I manage to make my amp work but the problem i am facing now is the output volume is too low ,can you please help me? I use 50v for all polarized capacitors and 100v for non-polarized ,20k potentiometer and powered by 3v rechargeable battery.Thanks in advance . If the sound is very low, you can try to increase the volume of your input device. And make sure the potentiometer is at it’s lowest resistance. But don’t expect a really loud sound when you’re using only 3V for power. if I don’t have a .15 or .22micro farad. what capacitor can I substitute? can I use a 1micro farad for the .22 and .15? Hey, I built this circuit but I’m facing a problem, I’m not getting output in the 2 channels only in one, why could this be? Hi, this could be because there are only inputs on one channel. Or it could be that there’s a short-circuit or something on one of the outputs. Try switching the inputs and see if this gives you an output on the other channel. IF ANY ONE CAN HELP OUT. NEED 2 SET OF AMP. IF ANY ONE IS HAVING THE SAME PLS SHARE THE DETAIL MY NO IS 9004049095.
hi , i’m still curious , when use 9 volt of power is the ic become hot or not ? I think it will become a bit hot yes. But not more than it can handle. I have just finished asembling the bridge version and I am impressed of the quality and the power of this IC! Yeah, it is pretty good, right? I’m often using it to play music at home. Is the layout drsignes to be used with a double sided copper board .? The design I created was double-sided. But it shouldn’t be too hard to make a single-sided design if you want to do that. The incoming signal could be too high. The amplification could be too high. There could be noise in the incoming signal. How much voltage rating should have 100uf capacitor for this circuit. Can i use 25v capacitor??? Yes, 25V should be fine (I think). And yes, single-sided pcb works fine. Yes you can. I don’t know what groove is. Ah ok. So you want more bass? 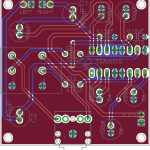 With this circuit my best guess would be to add a low-pass filter on the input side. Haven’t tried it though, so I don’t know how the effect will be. thank you so much.i’ll try. Hey, how can I add the input to the speaker? I am a complete beginner to it and don’t know how to do it. Also, can you help me with the Potentiometer? The input does no go to the speaker. The output goes to the speaker. Why u was use soo many cap in circuit…..?? For filtering or to avoid oscillations. You might be able to skip some of them, depending on your power source. I have a transformer 230/12V , with this can I give supply power for the chip after converting it to DC? Is the circuit is able to withstand the power supply? If you have the correct DC voltage in, the circuit is fine as long as the power supply can prove enough current. Thanks for this website. It is very helpful. I want to try making a portable audio amplify for devices like cellphones, mp3 player, etc. with an SD card slot and a USB charging port for a 3.7 voltage battery. But I haven’t got a faintest idea where to start with a circuit. Any clue Oyvind would be really appreciated. Well, I guess this article is a start. Here you build the amplifier. For the other parts of the project I don’t have any articles unfortunately. If I want to make it Mono, I ignore one of the inputs? Yes you can. But if you want more power, check the datasheet for how to connect the outputs in mono-setting. I need to boost a signal sixfold before I divide it by 6 to send to 6 different destinations. Can this be done with an LM386? Also, I do not seem to be able to make the LM386 specs give me hints on how to do it. Clearly I need to learn how to read a spec sheet. Any pointers? 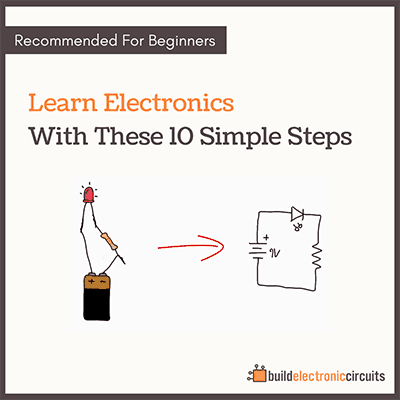 On page 5 you’ll find “Typical Applications” with several circuit diagrams. Connect the circuit diagram as in the one marked with “Amplifier with Gain = 20” and you get 20-fold the signal. If you need exactly 6, you can play a round with the resistance on the input. Hello, I am facing a strange problem with this circuit. The whole circuit wired up this way results in one working speaker while the speaker connected to pin 2 and 3 doesn’t work. I am powering this circuit 12v just so you know. When I was tinkering with the circuit, I found that removing the 470uF capacitor connected to non working speaker and shorting the wire, the speaker starts receiving sound but now the output is way too noisy. I tried replacing the capacitor but nothing happened. Do you have any idea? Check the sound level of your music source. i have a question..can i use two outputs in one speaker?? if i can then how to add?? How can I buy your textbook sir, for I really neef it. Hy guys my problem is i dont know where to buy those printed circuit boards i live at durban.so idnt know where to find those boards for soldering and how much is it? This is a really cool thing! I am new to electronics so I have a stupid question. How can I connect the two inputs to my laptop if I build this on a breadboard? You need to use an audio mini jack to plug into your laptop. Mini jack on one side, loose wires on the other side to plug into your breadboard. Thank you so much for the reply! Another problem I encountered is the TEA2025 chip seems to be a pretty old version and many electronic shops are out of stock. Could you tell me where I can buy it since I wanna start building it in a week? Thanks! This is a great little amp, but im working on a pet project for sound in my car involving, among others, this TEA circuit. I found various completed circuits out of hi-fi systems and portable radios. Im trying to use them all in my car as a complete built in system, without using a radio that can easily be stolen. I have wireless bluetooth speakers that came with my phone that i want to put front in-dash, a TEA2025D circuit from an old treadmill and a TEA2025 that i got from an old hi-fi. Individually, each one has great power, but i want to make them work together from one source, an auxilliary input and/or, the bluetooth link. Im only using my phone as the music player. When i connect the one with the other, a lot of sound disipates or alot of static comes through, giving me the idea that one or the other is getting too much power or drawing too much. i can give easch one its own input from the potentiometer, but that o lot of extra wiring in the car as the layout requires the one circuit to be in the back, powering those speakers. Is there a way i can link them up together? Please give me some advice. Youre welcome to have a good long laugh at my expence first, but my reasons for this idea is not to spend any money on the system and still get powerfull sound, while making sure nobody is tempted to break into my car when they see a radio in the dash. FYI, ive lost 4 radios in 3 months through crime and im done buying new radios. Keep in mind, ive collected the proper size speakers for every amp circuit’s rated output. Between C5 and C11 you made C6 to pin 15 pass through. Same thing applies to C7, C12 and C8. The question is; are they interconnected on those points. I am soldering but when I reached there I’m confused, so please help me now. Yes they are all connected. If you look closely there is a little dot where they all intersect. This dot means that they should be connected. I just want to know what is input and output there before potentiometer? Wow! Nice and useful post. 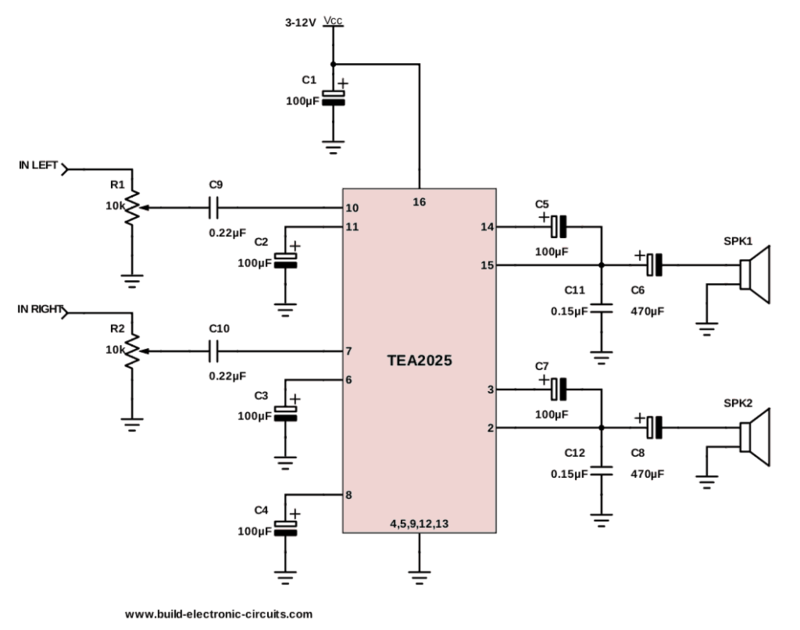 Can I use this Amplifier TEA2025D – https://www.icrfq.com/part/2430187-TEA2025D.html instead of TEA202? can i use 0.1 instead of 0.15 cap? I’m pretty sure that should be okay, yes. It’s the chip I used for this project. It is a good circuit for amplifier, but you have not mentioned the voltage of capacitors (Polarized) from C1 to C8. 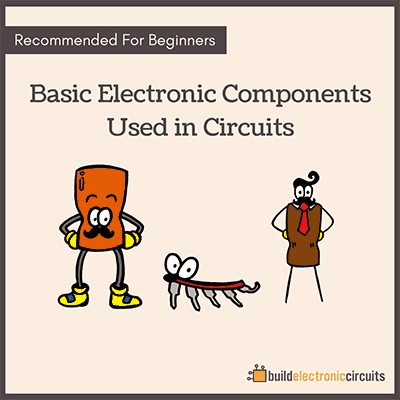 Please mentioned voltage of capacitors to make the circuit useful for beginners…. 25V and up should work fine. I am happy to come across this site, I am somebody who like electronic but don’t have someone to teach me, please I need your help. Thank you. Are the potentiometers needs to be a Dual Potentiometer(6 pins) or can I use 3 pin potentiometer? Each channel needs 3 pins. So for the stereo amplifier you need a dual pot. But if you build a mono amplifier, you only need a standard pot with 3 pins. Hello im very new to all of this. I recently took apart my CRT tv and was able to salvage a TDA8580J chip and speakers . I cant seem to find any schematics for this chip. Could you help? Check out page 14 (Application information)! I did not get capacitor 0.22uf so I use 221in place and 0.15uf , I use 181 but I did not get any sound coming. Please what should I do. Those capacitors are there for filtering. But using the values you used should still give you sound, so there must be something else wrong.